Big Dope is working on his “taxes” and is not in a talkative mood, so I take this time to file a report to the Falloonian Elders on a related topic, investments. I will prepare it in your language, (in which I have attained a high degree of a quality or state of having great facility). I welcome your help. Unlike our planet, Earthlings developed no mandated provision for planetary-wide care of the elderly or unblessed. Each sub-unit of government seems free to devise its own system of care, or neglect thereof. Some do provide care, but this is rare. Some delegate the responsibility to an unseen spirit. Some allow the issue to be settled by physical violence. 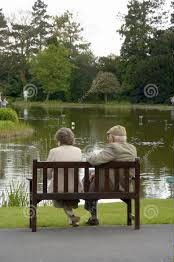 In my region, individuals receive a basic government allowance during what they laughingly refer to as “their golden years.” It is based on the amount of salary they received during their productive period. Thus, the child of a wealthy person who receives a high level of education and training will receive a larger allotment than someone who toiled at the lower end of the salary spectrum. This is all quite complicated. Please don’t ask me to explain. concept, however, is being phased out and is no longer considered valid. It was an approach supported by something they called “the labor movement” which is also being phased out. Americans, you have noticed, delight in the process of phasing out programs that have proven effective. This all leads to the concept of investing. Those in my region must make up the difference in what their social allotment pays and what they figure they will need in those “golden years.” They do this in several ways. Some receive what they call “gap financing” from their children. Some rely on what they call their “investments.” These may appear in the form of units of ownership in corporations, called stocks, or equities. This approach contains a high level of both risk and return. Some rely on a concept called “interest” that involves receiving a fee for loaning funds to a corporation or unit of government. This method is safe but is also being phased out. if one is wealthy. - C.W. For most, their investment consists entirely of the value of the container wherein they dwell. I know this seems odd, but it is true. In order to inject further realism into this report, I was able to obtain a statement from my Earth Host about his personal approach to investing. He was not maintaining a paradigm of cooperation at the time, but my pleading produced this rather terse statement. I will make an attempt to translate this in an expanded report.